Time is important, and efficiency is key. Reduce document update times to electronic medical records by using our MedAttach application. At WorldView we can make this transfer happen in a few seconds. You likely receive and send an overwhelming number of documents each day. Our application utilizes Optical Character Recognition to automatically read document text. Let us organize the information for you including discharge documents, physician orders, plans of care, and much more. We group and prioritize these documents from the time they are uploaded before you make it back to the office. We understand a lot of your work is on the go, but we can keep patient files in order and easier to manage. This enables your staff to have more time to focus on patient care than paperwork. It’s time to expedite the EMR process. Contact us today to learn more about our Healthcare and Business Solutions. WorldView allows your team to streamline the entire process of tracking physician orders with our order tracking solution. Gain real-time insight through our customizable dashboards and stay on top of outstanding orders. Working with physician order tracking in health care and hospice can be time consuming. Simplify the process and allow your managers to focus on more important areas of concerns, your patients. In the healthcare industry, accuracy is critical. Enforcing consistent business practices allows your organization to reduce risk while promoting accountability. Order tracking can be a time-consuming task requiring large teams of medical record personnel. Utilizing our order tracking solution, you are able to reallocate staff to other areas of your business. By adding intelligence to the tracking process, you are able to streamline the entire order tracking process. Contact us today to learn more about both our Healthcare Solutions as well as our Business Solutions including HR and AP applications. We understand how integrated physician orders are in home health and hospice care. Perhaps you have already streamlined your basic patient medical records. Did you know we can help simplify patient orders, too? With our Physician Order Tracking System, you can stay on top of patient care efficiently and effectively. First of all, our system can automate the physician order tracking process. Save your team valuable time. We reduce the room for error by requiring minimal manual data entry. Orders can be automatically refaxed after a certain time, also. Then, the system will provide notifications if manual intervention is required. Plus, the user-friendly dashboard keeps tracking of real time and outstanding orders. So, you can pull reports and notice trends with ease. Additionally, the system automatically updates and attaches the orders to patient electronic medical records. This allows for a great paper trail of contact, meeting compliance and audit regulations. The bottom line is focus on patient care. Therefore, leave some of the data management and follow-up to us. Contact us today to learn more about how our Physician Order Tracking System at WorldView can work with you. Full automation. Likewise, less room for error. Efficient and above all, greater patient care. You may remember the days where the industry started to migrate copies of charts to digital file backups. Thus began the beginning of electronic medical records. This allowed for patients to have a universal chart accessed from multiple healthcare facilities. We can help you take this a step further by having those records available at your fingertips. Try our Mobile Complete application. Mobile Complete holds a focus on home health and hospice. We know that managing medical records is especially of great importance for your team. 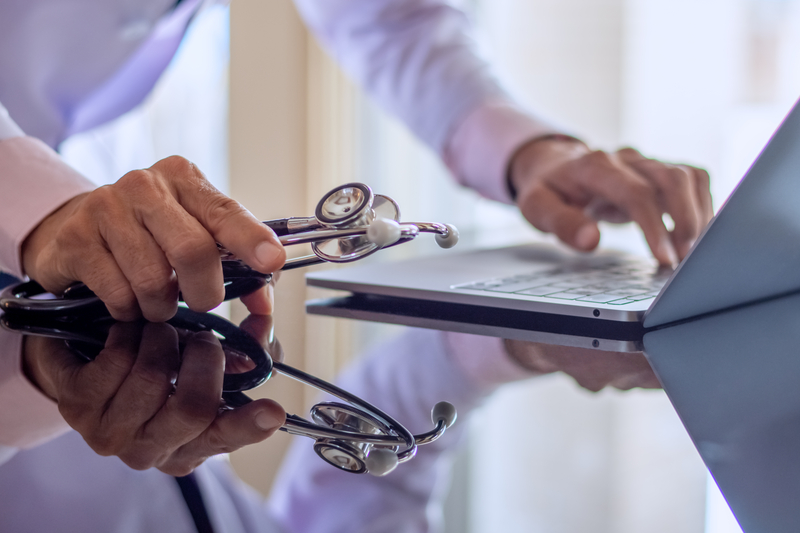 Our solutions help streamline operations with compliance assistance, improved patient care, and reduced operating expenses. Since today’s world revolves around mobile, we can help take your practice to the next level. Capturing documents and images in the field is easy, while full patient charts are easily accessible with a few clicks. Everything is fully encrypted and secure to keep those electronic medical records safe. Plus, the platform helps you administer workflow on the go. So, allow our integration and innovation to make your job easier and improve patient care. Contact us today to learn more about how our Mobile Complete app. We are ready to help you take your practice to the next level. Your organization is probably ready to spend more time helping patients than managing records. You’re looking for efficiency. Mobile tools are the way of the future in the healthcare industry, but concerns loom on security. Our team has prepared the Mobile Complete app with top notch mobile security. First and foremost, our application is a mobile solution. We focus on medical record management, especially for home health and hospice. Save precious time by having direct access to patient documents and records in the field at staff’s fingertips. Our Mobile Complete Capture & Secure ensures these documents are captured, saved, and retrieved securely. HIPPA regulations are still in play. In addition to data management, Secure Messaging is an innovative and helpful tool. Patients are having more and more communication with healthcare professionals outside of the office. Our all-in-one application features fully encrypted end-to-end messaging, message delivery confirmation, and authentication. The application keeps all information safe between the necessary parties while always on the ready. Plus, our app has the option for multi-party messaging and group chat. Contact us today to learn more about how our Mobile Complete app can be the solution you’ve been waiting for in terms of mobile security. 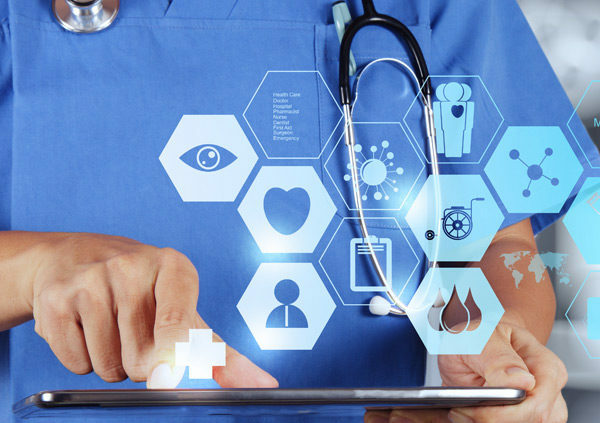 The healthcare industry can join the mobile movement with the right tools in hand.